With the advent of energy-saving light bulbs, the oldIncandescent lamps are used less and less often. 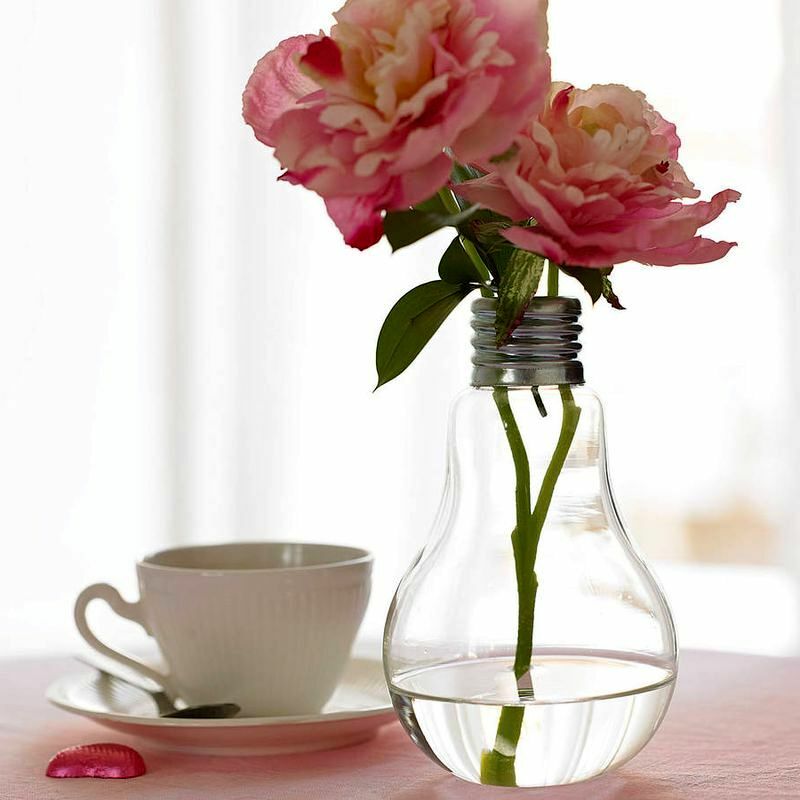 If you still use incandescent bulbs, do not rush to throw out burned. 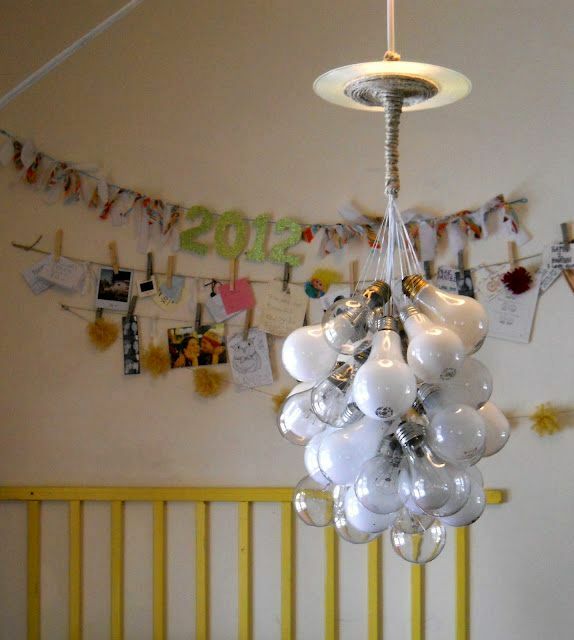 Try to make original crafts from light bulbs for interior decor! 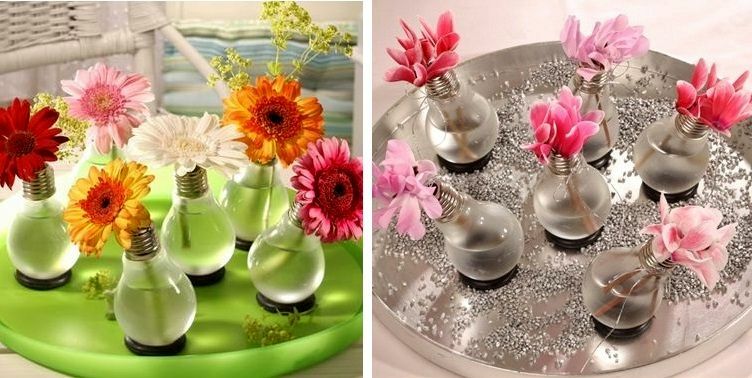 From burned bulbs you can make gentleMiniature vases for flowers. 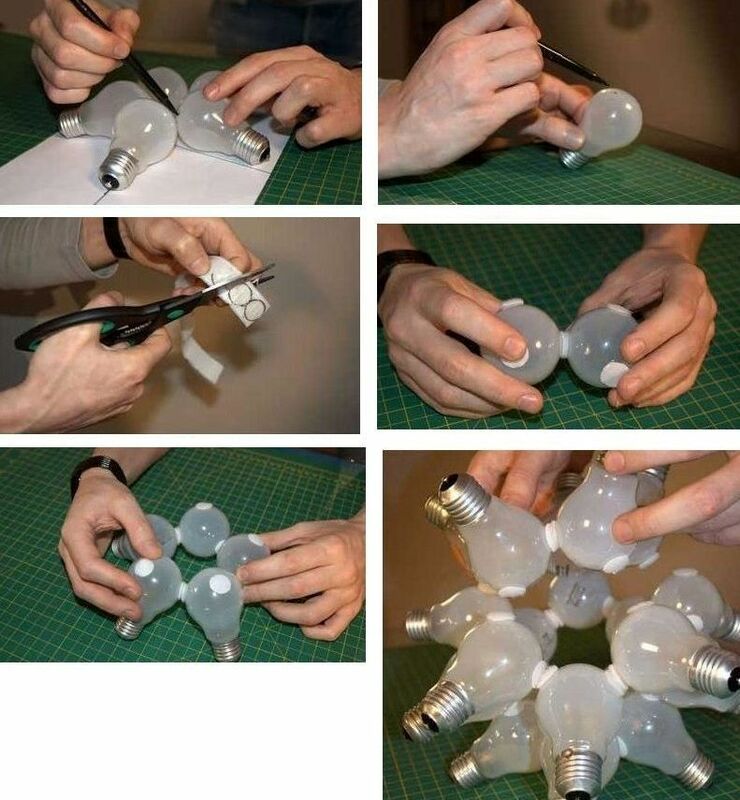 To do this, you need to know how to disassemble the light bulb. Using tools - a screwdriver, pliers or a penknife, you should remove all the elements - contact, insulator and a glass tube inside. 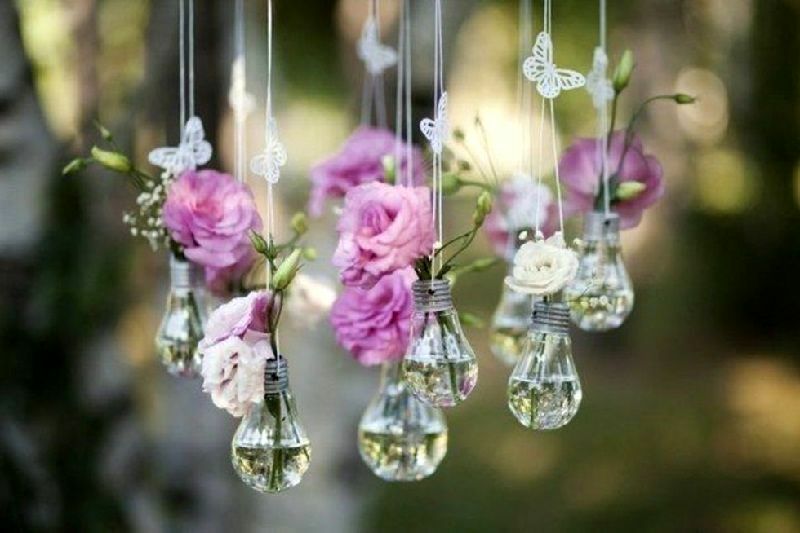 In principle, to disassemble a light bulb is simple, but you need to be extremely careful, as careless and harsh actions can damage the glass ceiling. Disassembled lamp - ready-made vase. 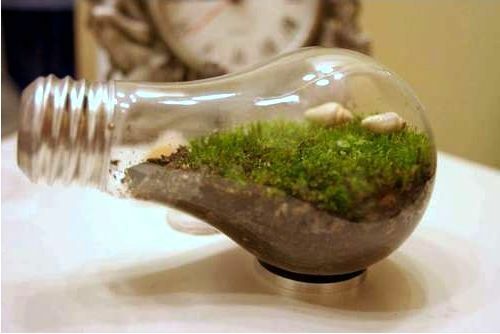 You can make pendant vases on a fork, tabletops on a stand, terrariums for moss, succulents or aerophytes. There are a lot of design options. 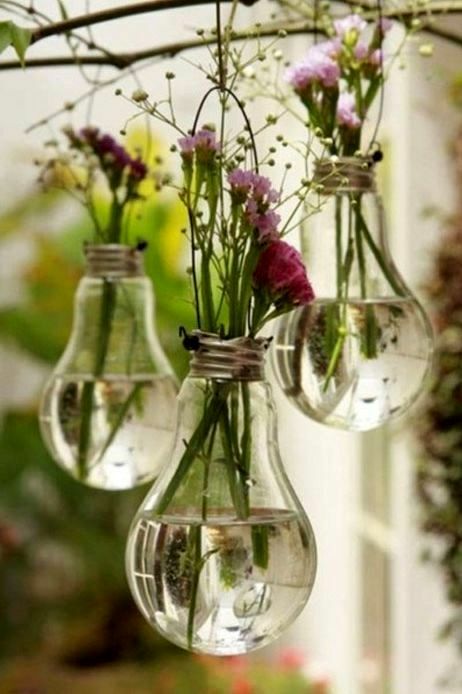 Vases of light bulbs will be an original decoration of the interior of the house and villa. 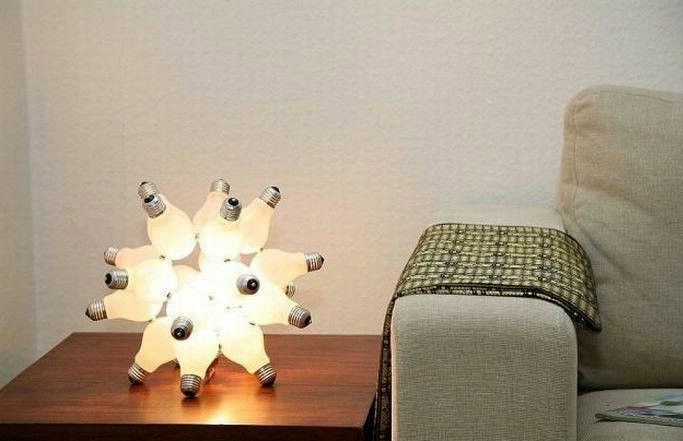 To make a lamp from bulbs, you needAccumulate two dozen burned copies. You will also need: a working light bulb, a cartridge, a braid and a cord, a felt-tip pen, scissors, a velcro or glue. Put five bulbs so that an isosceles pentagon is formed. In places of contact, mark the bulbs with a felt-tip pen. 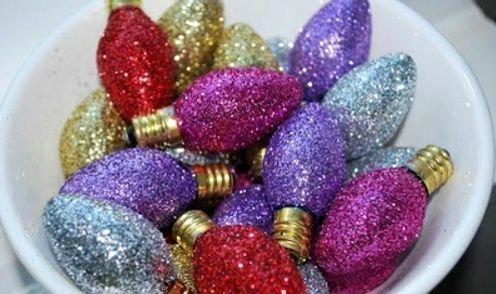 At these points, glue the bulbs with glue or round Velcro. 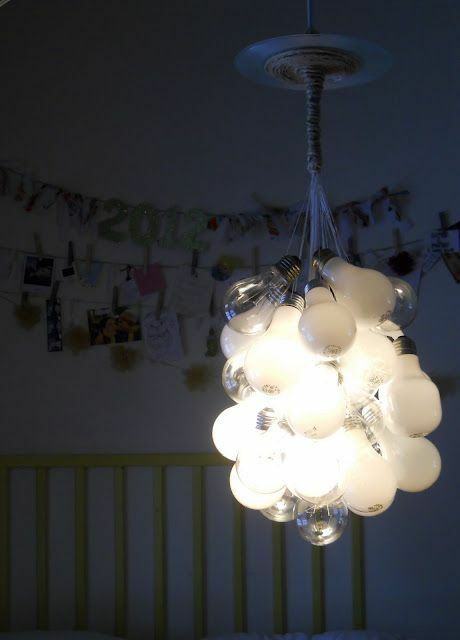 Continuing in this way, glue all the bulbs to make a ball. In a similar way, you can create other shapes, such as a cube. In the center of such a plafond, insert a working light bulb in the cartridge. 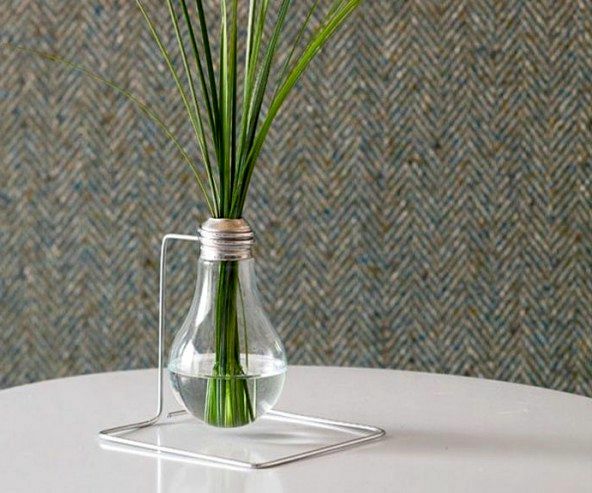 The second way to make a lamp from bulbs is simpler. 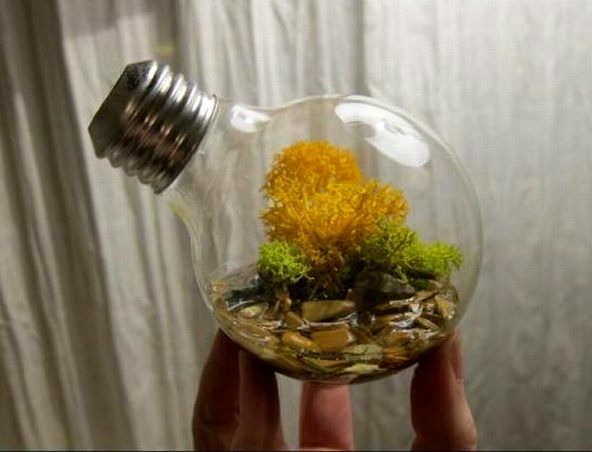 Hang around a light bulb burned on a rope or fishing line. Most often there are such articles made of light bulbsAs a Christmas tree. 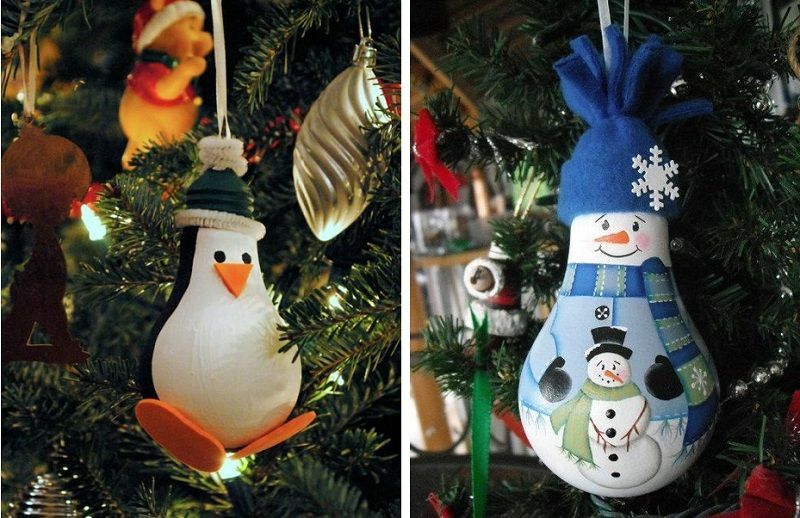 The pear-shaped shape of the light bulb is great for creating with your own hands snowmen, penguins, balloons, muzzles of different animals and fairy-tale heroes. 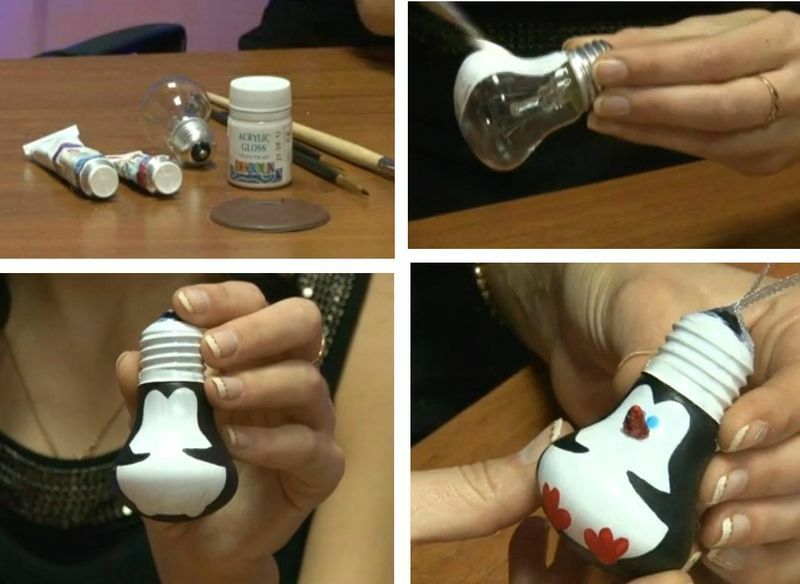 The surface of the light bulb can be painted with acrylic paints, painted with contours for glass, it is possible to cover with paper in the technique of decoupage. Hats, scarves and other accessories - tie or cut out of felt, fabric. 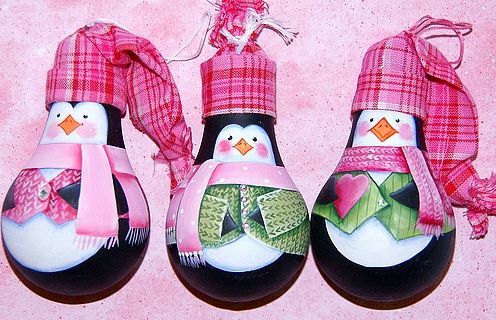 Give vent to your imagination - and your Christmas toys from light bulbs will be absolutely unique and unique crafts for the New Year holidays! 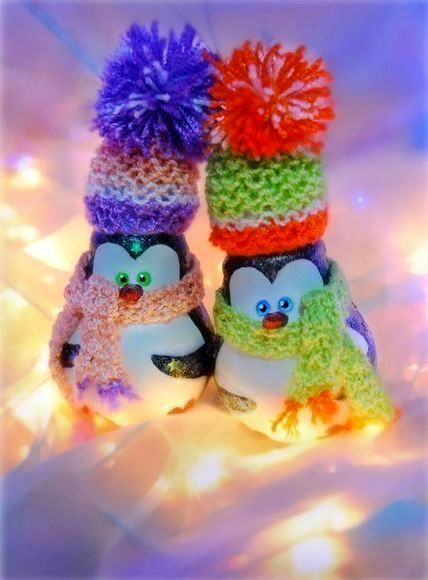 Needlework for the house with your own hands: crafts made of light bulbs for the 2015 contest, funny handicrafts by your own hands Interesting crafts from light bulbs with their own hands How to create interesting crafts from unnecessary light bulbs with your own hands New Year's snowman with their own hands, how to make a snowman, New Year's crafts with their own hands, a snowman made of polymer clay, a snowman made of cloth, a snowman made of light bulbs. 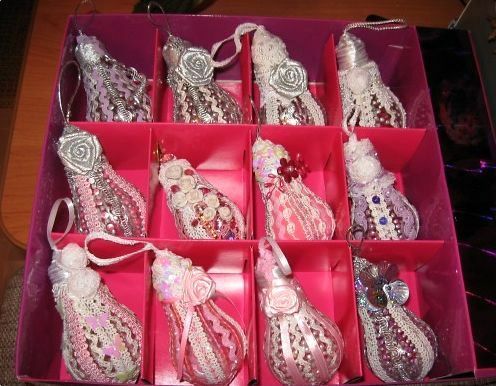 Children's crafts, handicrafts for the school with their own hands, crafts made of natural materials, autumn crafts, crafts made of dough with their own hands, how to make a grassy little man, a school pencil case with their own hands.